Winnovative HTML to PDF Converter for .NET is a library that can be integrated in ASP.NET and MVC web sites, Azure Cloud Services, Windows Forms and WPF desktop applications to convert URLs, HTML strings and streams to PDF, to SVG or to images. The library was designed and tested to work reliably in multithreaded environments and in high traffic websites. We offer full C# and VB.NET samples for ASP.NET, MVC, Windows Forms and Azure Cloud Services in the downloaded archive both for .NET 2.0 and .NET 4.0. The licensing model is simple and royalties free. Online demo with code samples. More Features with live demo. The live demo below uses the default options of the Winnovative HTML to PDF Converter for .NET and allows you to convert a web page accessible from Internet to a PDF document. The PDF documents generated by this live demo are limited to a number of PDF pages. For a complete features demonstrations please visit the fully featured demo or download the evaluation version which does not have any limitation. See our Full Online Demo Application or Download Free Trial Version for a fully featured evaluation. The Winnovative tools can be purchased individually or in collections named toolkits. When you purchase a toolkit you get a big discount compared to purchasing each tool separately. There are three types of toolkits: Winnovative Toolkit Total for .NET is the collection of all our tools for generating PDF documents, Excel documents and Web Charts. 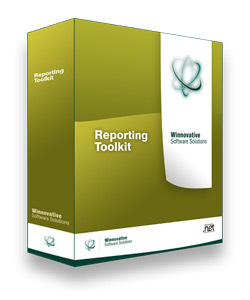 The Toolkit Total comprises both the tools from Winnovative PDF Toolkit PRO and from Winnovative Reporting Toolkit. 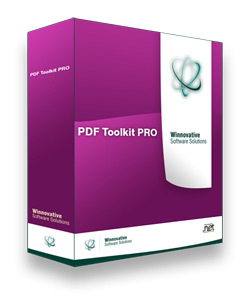 Winnovative PDF Toolkit PRO for .NET comprises the HTML to PDF Converter, RTF to PDF Converter, PDF Viewers for ASP.NET and Windows Forms, PDF Security, PDF Merge and PDF Split libraries, PDF to Text Converter, PDF to Image Converter and PDF Images Extractor. With these tools you can easily create great looking PDF documents with complex formatting. See Detailed PDF Tools Features. See Detailed Reporting Tools Features. Winnovative HTML to PDF Converter was extended to offer the best experience on other platforms not only for the .NET platform. Currently we have HTML to PDF Converter such solutions for Java, Microsoft Azure, WinRT and Windows Phone, Xamarin, Mono and .NET Core. While the library for .NET does not depend on any external services or programs the solutions for these platforms require the installation of a HTML to PDF server which was built on the library for .NET to offer an API similar to .NET library. Winnovative HTML to Converter for Azure was developed for Azure Websites which have to run under a restricted environment. The general library for .NET can still be used directly in web roles and worker roles of Azure Cloud Services and in applications running on Azure Virtual Machines but it cannot be used in Azure Websites directly because of the restrictions imposed by Azure App Services environment. Winnovative HTML to Converter for WinRT and Windows Phone is a portable .NET library that can be used in Windows Store Applications for Windows and for Windows Phone. The package you can download from our website contains demo applications for these platforms. Winnovative HTML to Converter for Xamarin allows you develop applications for iOS, Mac OS, Android and Windows using C# as development language. A large part of the code you write for Xamarin platform can be reused to produce native application for multiple platforms. The package you can download from our website contains demo applications for iOS, Android and Mac OS. Winnovative HTML to Converter for Mono allows you develop applications for various platforms using C# as development language. The Mono platform can be used to create applications for Mac OS, Linux and Windows and is a quite popular platform since many years ago. Winnovative HTML to Converter for .NET Core allows you develop applications for various platforms using C# as development language. The .NET Core platform from Microsoft can be used to create applications for Windows, Linux, OS X and FreeBSD. Winnovative Free HTML to PDF Tools comprises a Free HTML to PDF Online Service which you can use to convert web pages to PDF using a solution hosted on our server and a Free HTML to PDF Desktop Application that you can download on your computer to convert HTML documents, Web Pages and HTML strings to PDF.